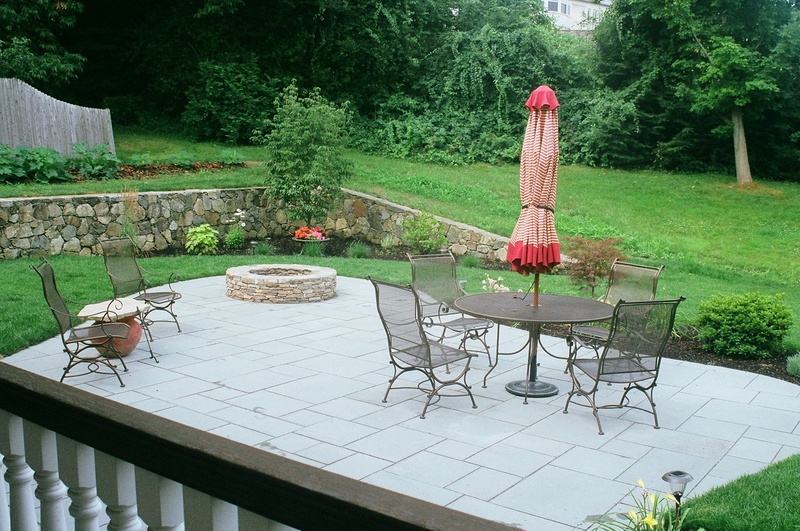 Dana Landscaping builds beautiful patios. 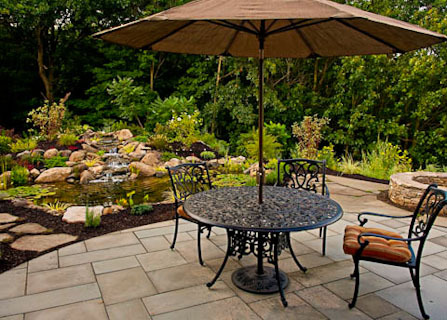 Landscape design, water gardens, night lighting, patios, walkways, fire pits. Andover, MA, Merrimack Valley, Southern NH. Patios extend your living area into the outdoors and provide great space to relax with family, enjoy a meal or entertain. A variety of materials can be used to complement your home’s exterior. We work with pavers, blue stone and many other materials. 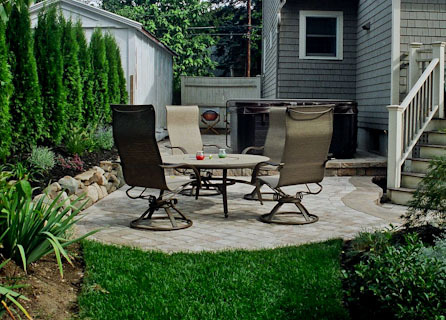 Whether you have a large yard or just a little area to work with, we can design a patio that fits your needs and your budget! Contact the Pond Guru NOW! Click here to contact Tom Busta now! The Merrimack Valley Magazine Reader’s Choice Awards: It’s a Three-peat! It’s April: Time to Vote for Dana Landscaping! Thanks to you – it’s time to party!